We carry ALL major brands of handguns including Heckler & Koch, Sig Sauer, Glock, Smith & Wesson, Beretta, Ruger, Springfield Armory, FNH, Taurus, Rossi, Charter Arms, Walther, North American Arms, KelTec, Bersa, and others. We stock rifles and shotguns by Sig Sauer, FNH, Colt, Remington, Mossberg, Beretta, Windham Weaponry, Ruger, Marlin, Savage, H&R, Taurus, UTAS, Norinco & Springfield Armory to name a few. We are also a licensed Class III dealer and can facilitate your machine gun and other class three purchases. Our suppressors come from Silencerco, Gemtech, AWC and others. We guarantee that your experience will be a smooth one. We carry blackpowder guns as well as air pistols and air rifles. We've got CO2 and pellets and BB's and Air-Soft too. We have non-lethal personal protection for you too. Stun guns, pepper spray and Tasers are a good answer to some dangerous situations. We always have hundreds of magazines in stock for modern and classic guns. Hard-to-find mags are a specialty and if we don't have the one you need we will find it at no extra cost to you. Rifle and shotgun stocks and accessories by Magpul, Blackhawk, ATI, Tapco, TacStar and many other shooting accessory brands. We recommend holsters by Blackhawk and Fobus, Tagua Leather, Uncle Mike's and JayPee... in designs and sizes that fit your carry needs. Our knives come from premier brands such as Cold Steel, Spyderco, SOG, S&W and Kay-Bar. We also stock premium optics by EO Tech, Nikon, Leupold, Bosch & Lomb, Burris, Millett, BSA, Simmons, and Weaver. Lasers and tac lights by Lasermax, Laserlyte, Glock and Crimson Trace offer you the latest in sight acquisition. Flashlights from Surefire and Streamlight will light the way. Safety equipment by Peltor, North, Plano, Master Lock. Security is always an important part of gun ownership and we strongly suggest the purchase of a small safe or lock-box. They are surprisingly affordable, allow quick access and will make your ownership experience a more restful one. In addition we have various styles of gun locks and mounts and storage cases. Maintenance and cleaning is a necessary part of gun ownership and we have products from KleenBore, Hoppe's, Militec, Breakfree and Birchwood Casey to keep your gun working perfectly. 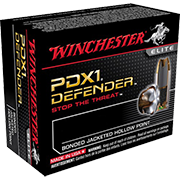 We stock almost every caliber and most major brands including: Winchester, Remington, Federal, CCI, Hornady, CorBon and others. Throughout the ammo shortages you could count on us when other shops were out of stock.